With over 40,000 new bins, and 5,000 boxes having been delivered to addresses all over Allerdale, residents are gearing up for changes to their bin collections. Allerdale Borough Council is making changes to recycling collections which will see the end of the purple bags to collect glass, cans and plastic recycling. The bags are single-use and therefore bad for the environment – and are a cost to the council. The changes come into effect on 1 April 2019 and the council has been delivering blue-lidded bins and black boxes to residents in preparation of the changes. It has also written to all households with details of the changes with a new bin collection calendar for the next 12 months. The last recycling collection in March is the trigger to start using the new bins or boxes. This will mean the right material is in the correct container once the new service starts on 1 April. If you have been using a small green bin for paper and card recycling, you'll have been given a large blue-lidded bin. This will be used to collect paper and card, and with twice the capacity of the green bin, it will be collected every four weeks. The small green bin will be used to collect glass, cans and plastic recycling. It will continue to be collected every two weeks. If you have been using a green hessian sack to collect paper and card, you’ll have received a black box. This box is to be used for glass, cans and plastics and collected every two weeks. The green hessian sack will continue to be used for paper and card but collected every four weeks. Customers can request more boxes or sacks if they need them. The recycling will continue to be collected from the front of the property. Garden waste will continue to be collected in large green bins, every two weeks. All other waste, which is typically collected in a black bin, will continue to be collected weekly. Residents are encouraged to double-check their bin collection day as it may have changed. Bins are to be left out from 7am on the day of collection. As all the rounds have changed, crews may arrive later than people have been used to. The advice is to just leave your bin out until it is emptied. There is no need to bag the recycling up. Just put it straight in the bin or box. If fact any plastic bags will be classed as contamination of the recycling. If properties haven’t received a new bin or box and are currently on the purple bag scheme then they can report this to the council using use the form on the website. The council apologises to everyone who has been missed, and is delivering bins to properties as quickly as possible. Any queries about the bin calendars can also be reported to the council’s customer services team online or by phone. Boxes have been provided to areas where there are limits to access – such as terraced properties. If customers have received a box, but feel they would prefer to have a blue-lidded bin, then they are advised to contact the council. A street scene officer will be in touch, once the new service has started, to review the service at their property to see if a bin can be accommodated. There are some properties where access means it is currently not possible to provide a kerbside recycling service. 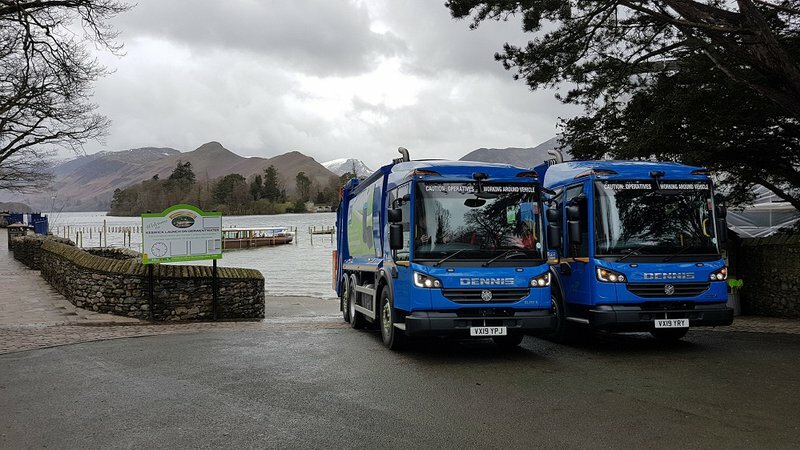 However, once the new services start, the council will be reviewing these properties to see if a recycling service can be provided in some way.